Back-Up Camera, 4x4, Turbo, Onboard Communications System. DEEP OCEAN BLUE METALLIC exterior and JET BLACK interior, LT trim SEE MORE! 4x4, Back-Up Camera, Satellite Radio, CD Player, Onboard Communications System, Aluminum Wheels. Chevrolet LT with DEEP OCEAN BLUE METALLIC exterior and JET BLACK interior features a 8 Cylinder Engine with 445 HP at 2800 RPM*. ENGINE, DURAMAX 6.6L TURBO-DIESEL V8, B20-DIESEL COMPATIBLE (445 hp [332 kW] @ 2800 rpm, 910 lb-ft of torque [1220 Nm] @ 1600 rpm) Includes capped fuel fill, (K40) exhaust brake and (K05) engine block heater. ), LT PLUS PACKAGE for Crew Cab and Double Cab, includes (UG1) Universal Home Remote, (UD7) Rear Park Assist, (JF4) power adjustable pedals, (A48) rear sliding power window and (C49) rear-window defogger, LPO, ASSIST STEPS - 4" CHROMED ROUND, TRAILERING EQUIPMENT Trailering hitch platform 2.5" with a 2.0" insert for HD, 7-wire harness with independent fused trailering circuits mated to a 7-way sealed connector to hook up parking lamps, backup lamps, right and left turn signals, an electric brake lead, battery and a ground, The trailer connector also includes the 4-way for use on trailers without brakes - park, brake/turn lamps Includes (JL1) trailer brake controller. SEATS, FRONT 40/20/40 SPLIT-BENCH, 3-PASSENGER. Available in cloth or leather. Includes driver and front passenger recline with outboard head restraints and center fold-down armrest with storage. Also includes manually adjustable driver lumbar, lockable storage compartment in seat cushion, and storage pockets. (STD), AUDIO SYSTEM, CHEVROLET MYLINK RADIO WITH 8" DIAGONAL COLOR TOUCH-SCREEN, AM/FM STEREO with seek-and-scan and digital clock Privacy Glass, Keyless Entry, Steering Wheel Controls, Electronic Stability Control, Heated Mirrors. 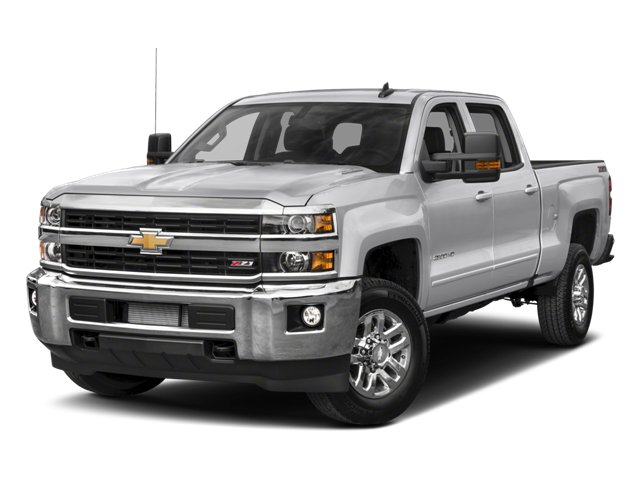 Hello, I would like more information about the 2018 Chevrolet Silverado 2500HD, stock# CT2306. Hello, I would like to see more pictures of the 2018 Chevrolet Silverado 2500HD, stock# CT2306.